View GitHub issues in Notification Center. Is there a better alternative to RemoteHub? Is RemoteHub really the best app in Reference category? Will RemoteHub work good on macOS 10.13.4? 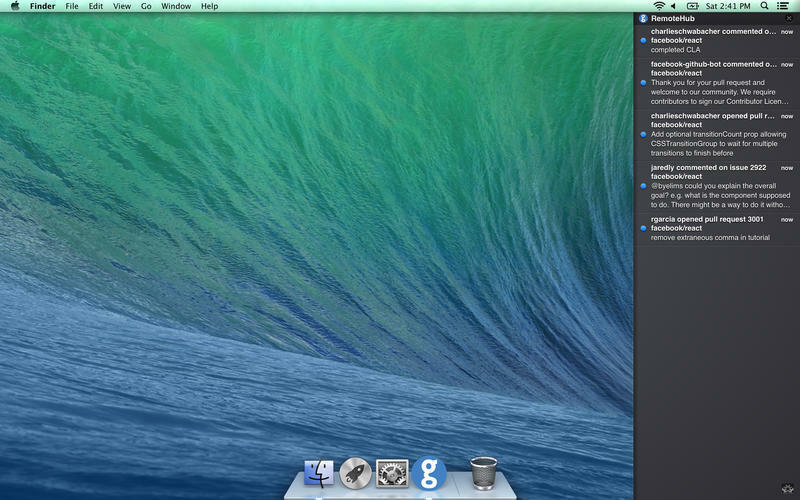 RemoteHub keeps up-to-date with your GitHub issues and pull requests via Notification Center. Whenever somebody opens or closes an issue or pull request or comments on one, you will be notified. Clicking on a notification will open the event's URL in your web browser. 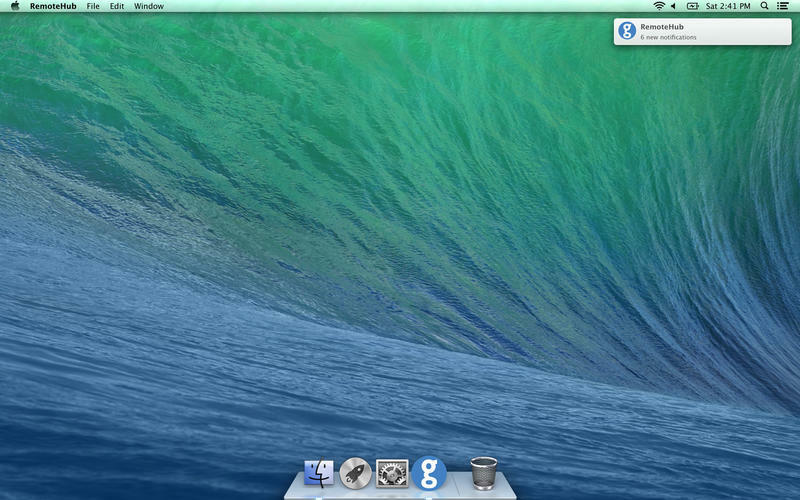 As requested by several users, we removed the menu bar icon and made the app show up in the Dock instead. Tapping a notification from Notification Center will now remove it. This makes it easier to keep track of what you’ve already seen. RemoteHub needs a review. Be the first to review this app and get the discussion started! RemoteHub needs a rating. Be the first to rate this app and get the discussion started!